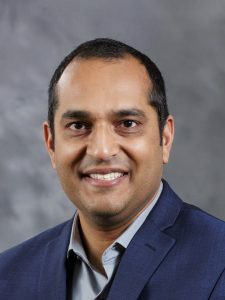 Electrical Engineering Professor and Executive Director of CoMotion Vikram Jandhyala was featured in a recent Seattle Times article. The article reflects on Jandhyala’s success at the University of Washington (UW) and passion for innovation. For Jandhyala his commitment to innovation is demonstrated through the development of CoMotion, UW’s startup incubator, and the creation of Global Innovation Exchange, a graduate institute that partners with China’s Tsinghua University. Jandhyala aims to further foster innovation at the UW, with the goal of expanding it to the University District. By laying the foundation for fledgling companies to develop, the neighborhood would become a creative and supportive space for additional startups to establish a base. Through additional nurturing under Jandhyala’s expert hand, the City of Seattle will also reap the benefits of an innovative outlook. “We want to break down barriers of the university, so there’s not one place where the university begins and ends,” Jandhyala said. Although an innovation strategy will bring additional revenue to the university, Jandhyala considers the societal implications of growing an entrepreneurial and innovation hub to be a driving force for his efforts. Jandhyala admits that many tech companies rise and disrupt an established industry. Many times, these companies look toward societal impact after cementing their own foothold in the market. Jandhyala wants to focus first on society, developing the critical innovations needed to foster positive impact.